Hey has anyone tried this indie title? I'm thinking of downloading tonight based GAF and Tom Chick going gaga over it. It's only 3 bucks, anyone tried this yet? 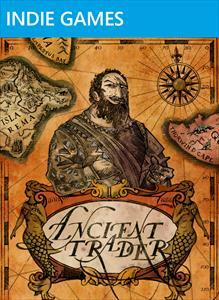 Trader is in the tradition of adventure/strategy games that spin out a picaresque and picturesque saga in a single sitting. By way of comparison, think of it as Seven Cities of Gold or Pirates, but a little shorter. Or, more recently, it's like the sci-fi space operettas Strange Adventures in Infinite Space or Flotilla, but wind-powered and sepia-toned. You move a little sailing ship around a fogged-in map, searching for ports, which you then use to make money by trading tea, spices, and fruit. While plying the seas, you'll run into monsters and enemy ships that you can fight with a simple game of matching cards that represent weapons. As you earn money, you spend it to upgrade your ship so it can move faster, carry more cargo, and slap down more powerful cards in battle. It's all very simple and above-board. Eventually, you'll discover the locations of three artifacts. Buy these - and buy them quickly, because they get more expensive as the other players also buy them - to reveal an ancient guardian.  Track him down and beat him in battle to win the game. Saw it last night, impressed by the art but I'm getting swamped by Indie demos without the time to play them. The service is really coming into it's own. At 3 bucks I might just bite regardless. I've been looking for a good board game and at that price can't really lose. I just hope there are people to play with online. I'll take a look at it tonight. Look neat.